Click here to download the mobile app. 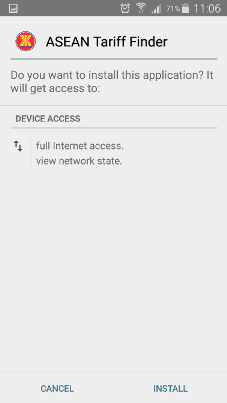 Once the app is downloaded to your android mobile device, please follow the instructions below for installation. 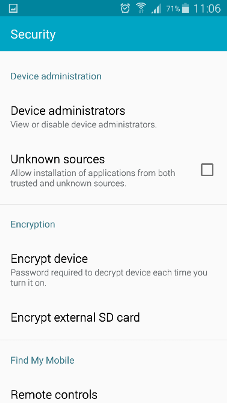 Open the downloaded APK file on your android mobile device. 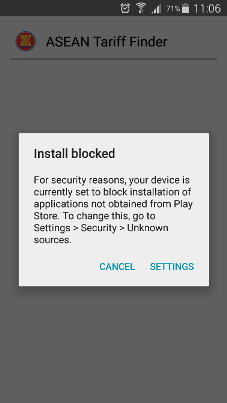 A message will show with a title of "Install blocked". 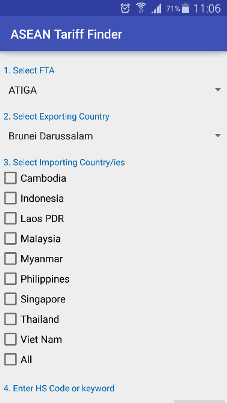 Click the "SETTINGS" link. 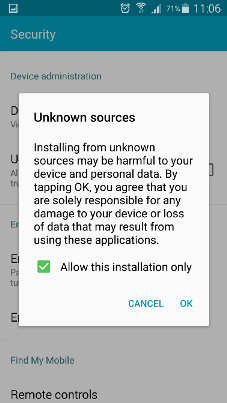 Check the "Unknown sources" checkbox to allow the app to install. Once installation is done, you can click "DONE" or "OPEN"